Are you able to shed any light on who might have produced this window? 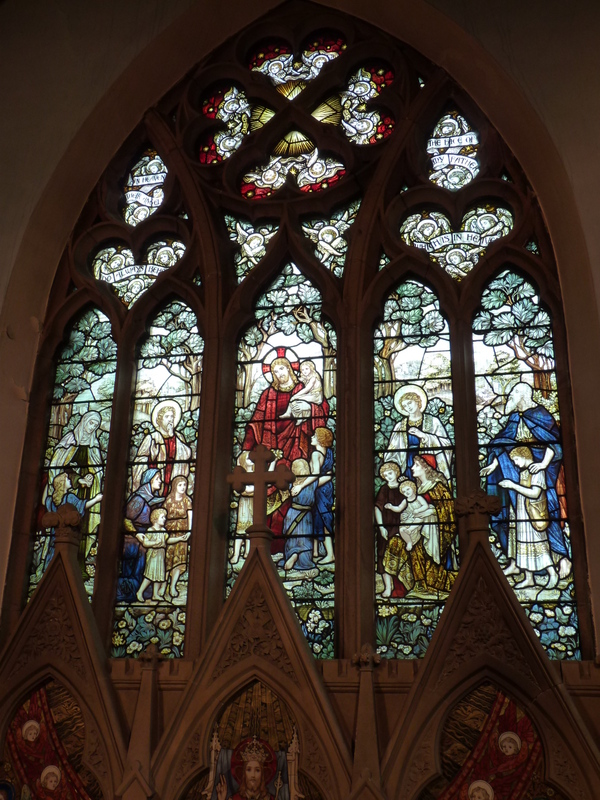 Lightworks are currently involved with a local Lancashire church and are trying to determine who the original maker of this five lancet east window may have been? 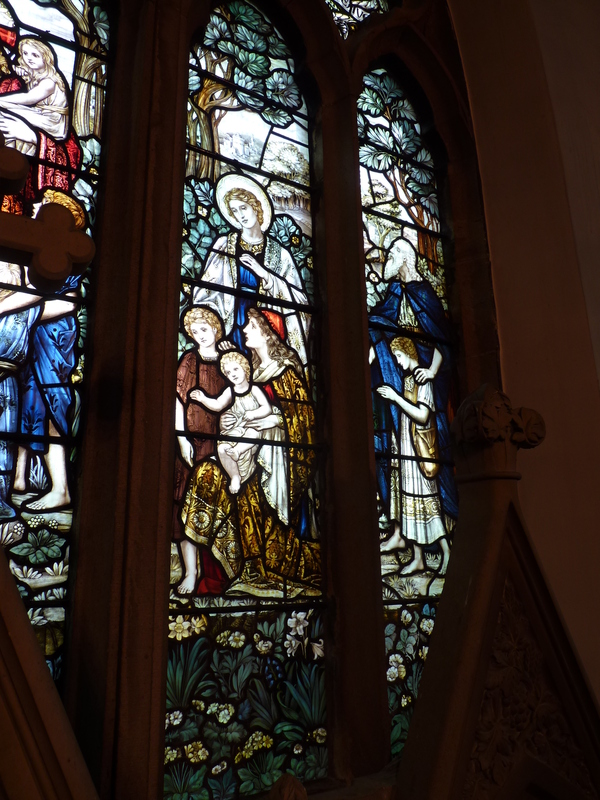 Thought to have been produced and installed around 1904/5, the window is a stunning example of Edwardian period figurative glass work in the arts and crafts style and features the biblical scene “Suffer the little children to come unto me”. 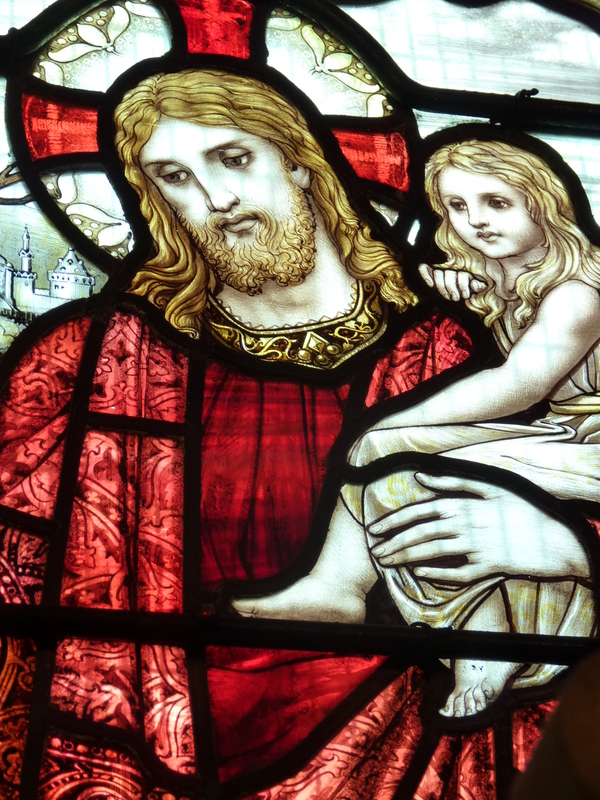 It has no inscriptions or makers mark and although similar in period, is clearly visually and stylistically different to the rest of the glass within church, much of which is by the renowned Lancaster firm, Shrigley & Hunt. Personally, I find it to be one of the very finest examples of glass of this period I have yet seen, typified by its beautifully painted Pre-Raphaelite style figures. If you feel you are able to offer any suggestions or perhaps know of other examples of windows of this period that are similar in style and execution that could potentially point to its original maker, please do let us know via the comments section below. The images included show the window in its entirety along with more detailed close up’s.